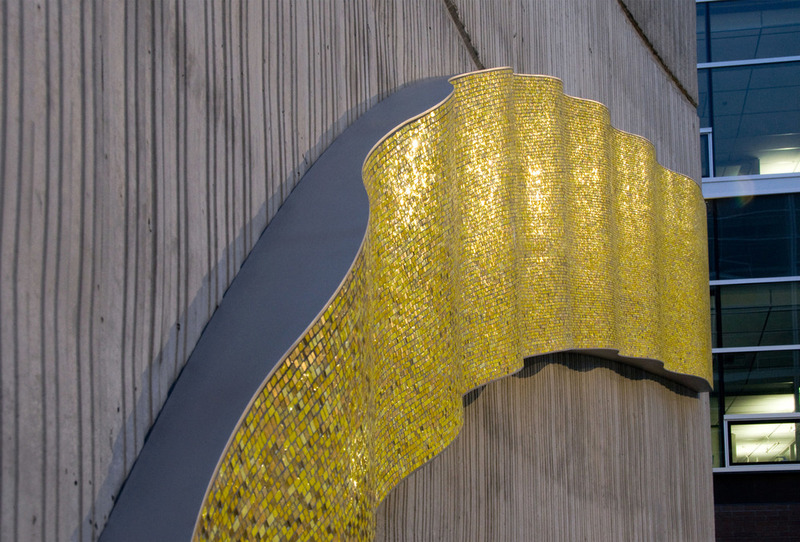 This exterior piece was created using the traditional Byzantine mosaic style on a stainless steel frame. It is mounted on a large curved wall between two buildings in a public plaza in Seattle's South Lake Union neighborhood. 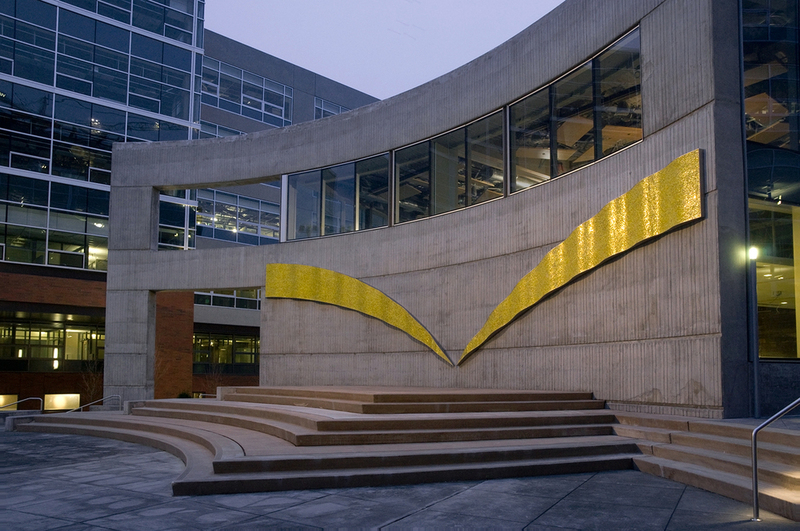 The two yellow arcs that form Convergence curve down and inward toward an intimate point on the wall, bringing the buildings on either side together. The small yellow/gold glass tiles become more intense towards this point, seemingly gathering the light and energy of the plaza in this one particular place. 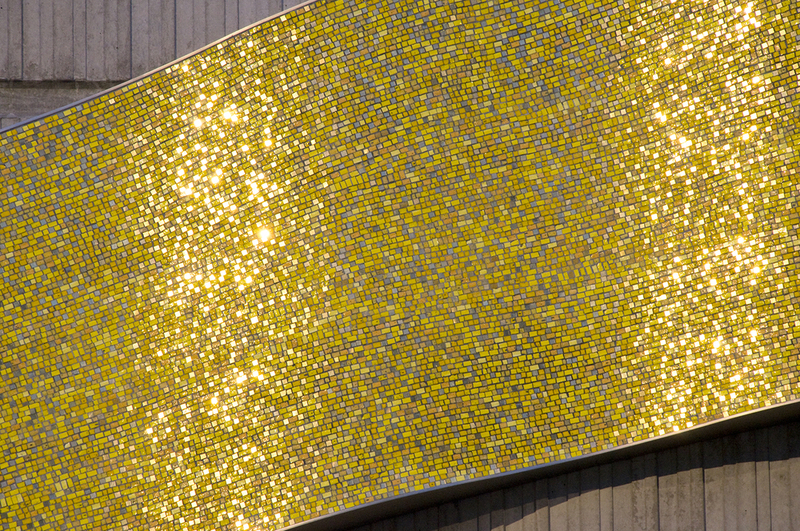 At a distance the bright yellow shapes of the mosaic attract attention, and as the piece is approached, the texture of the glass adds a more intimate experience.